One of my favorite food bloggers, Jessica at Good, Cheap Eats, is experimenting with gluten free living to help with an autoimmune condition. She posted a recipe for Gluten Free Chocolate Chip Cookie Bars. 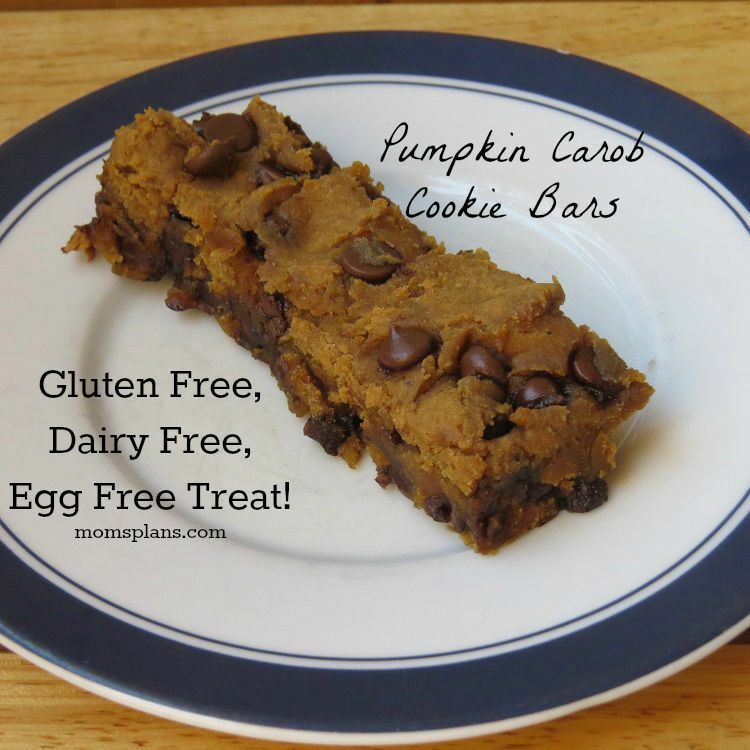 Of course, I’m always on the look out for good gluten free recipes, and these bars looked delicious! There were just a few problems with the recipe. Namely, that I can’t eat dairy or eggs. So, I went to work recreating the recipe. 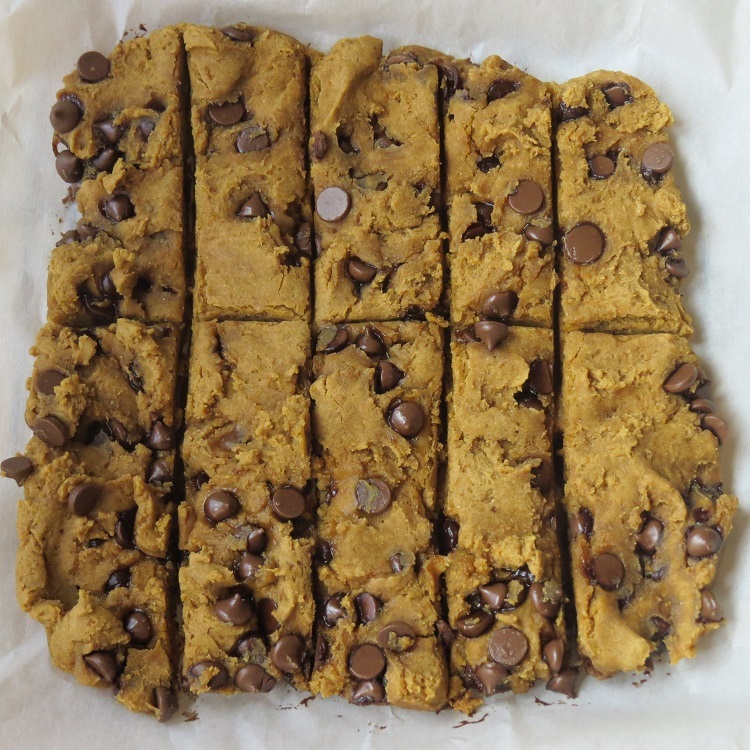 While I didn’t end up with more traditional Chocolate Chip Cookie Bars as she did, I did end with yummy pumpkin carob bars that are perfect for fall! In a large bowl, let the dairy free butter sit for a few minutes at room temperature. Next, add the coconut sugar and blend with the butter, using a hand mixer. Add the pumpkin and vanilla soy milk and blend together. In a separate bowl, mix together the flour, baking soda, sea salt, nutmeg and cinnamon. Add the dry ingredients to the wet ingredients until well combined. Add the carob chips and blend well. Place a piece of parchment paper in an 8″ x 8″ pan and gently press the batter into place. Cut into 10 bars while still warm.